Blaine Taylor likens coaching the Montana Grizzlies to a Frank Sinatra song. Just like in New York, New York, if you can make it there, you can make it anywhere. Taylor is just one of a long, rich lineage of coaches at Montana who made it in Missoula before parlaying those accomplishments into success on a bigger stage. A coaching tree that begins with Jud Heathcote and includes disciples like Jim Brandenburg, Mike Montgomery, Stew Morrill and Taylor will earn yet another dose of national exposure this weekend. The latest two coaches who earned their strips at Montana before moving on will be first-round favorites in the NCAA Tournament. Larry Krystkowiak’s Utah Utes are the No. 3 seed in the Midwest Region. They play Fresno State at 5:37 p.m. MST in Denver on Thursday night. Wayne Tinkle’s Oregon State Beavers make their first NCAA Tournament appearance since 1990. OSU is the No. 7 seed in the West Region and play No. 10 VCU at 11:30 p.m. MST in Oklahoma City. “I get asked about that family tree all the time,” said Taylor, who won three Colonial Athletic Association championships, an NCAA Tournament game and 239 games between 2001 and 2014 at Old Dominion after leaving Montana in 1998 to spend three seasons on Montgomery’s staff at Stanford. “I always say Montana is like New York. If you can make it there, you can make it anywhere. But why is that? There is a necessity to work that is born and bred in Montana culture. I was the son of a hard rock miner in Butte. Your neighbors are farmers or ranchers or work in timber. People deal with the elements, the four seasons, forest fires, the snowstorms, the cold. Krystkowiak played for Montgomery in the mid-1980s, becoming the only player in conference history to earn three Big Sky MVP honors. 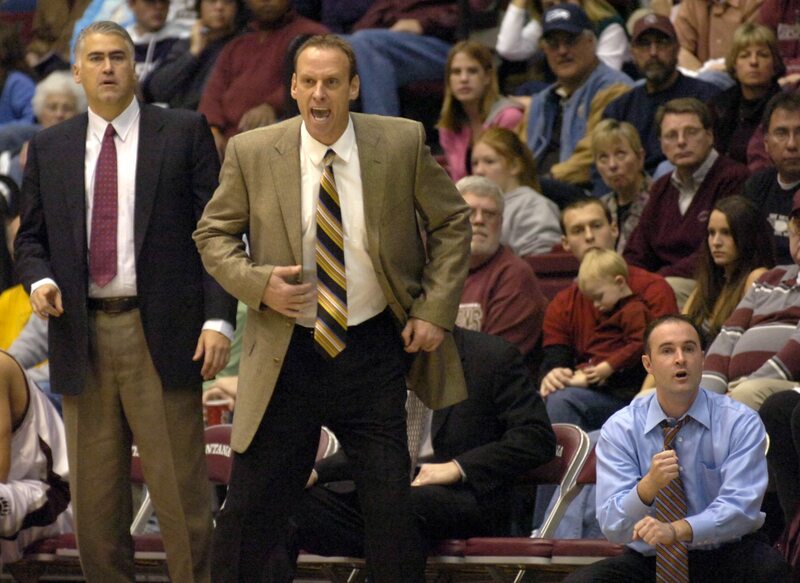 After an 11-year NBA career, Krystkowiak returned to Missoula as an assistant on Don Holst’s staff from 1998 until 2000. When Taylor left Montgomery at Stanford to become the head coach at ODU, Krystkowiak went with him. By 2004, Krystkowiak was the head coach at his alma mater. 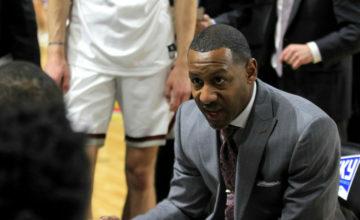 During his two seasons at UM, he led the Griz to back-to-back tournament appearances, including leading his team to a win in the first round of the 2006 tournament over Nevada. The upset serves as the last time a team from the Big Sky Conference won a tournament game. Following the season, Krystkowiak left to take an assistant job on Terry Stotts’ staff with the Milwaukee Bucks. Tinkle, who played for Montgomery and Morrill during his time as a Griz, took over for Krystkowiak. After a few rocky years, Tinkle got Montana back to the mountaintop again. UM went to the Big Dance in 2010, 2012 and 2013. Now each is on the national stage with a chance to make some March Madness mayhem. For those who know them best, the ascent is no surprise. “Success is in their DNA,” said Andrew Strait, a sophomore star on the 2006 Griz who split his career playing for Krystkowiak and Tinkle. 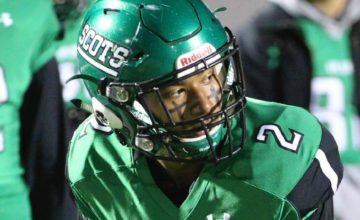 “They are both extreme competitors and they both understand what it takes to be successful. They had very successful playing careers. Tinkle and Krystkowiak have used success to earn national acclaim. Krystkowiak has turned a school that joined the Pac 12 for football into a competitive member of a powerhouse league. He is in the midst of his third straight 20-win season after winning just 21 total games his first two seasons in Salt Lake City. The Utes advanced to the Pac 12 championship game this season. Tinkle has Oregon State experiencing success unseen for a generation. His Beavers have 19 wins and a sixth-place conference finish, the best since the OSU glory days when Ralph Miller led the Beavers to eight NCAA Tournaments between 1970 and 1989. Oregon State won 21 games in 2011 because of a run to the College Basketball Invitational championship. The Beavers also lost 19 games that season. OSU’s last 20-win season came in 1990 when Gary Payton and Brent Barry made up one of the nation’s best backcourts. “The guys from Montana have been able to upset the status quo,” Taylor said. “Who would’ve thought Utah would be playing for the Pac 12 championship? And who would’ve thought Oregon State would be getting an NCAA Tournament bid? Nobody. Some people questioned Tinkle for leaving a team that had been so consistently successful for one that had traditionally struggled so much. Taylor remembers Montgomery selling him on leaving a head coaching job to come work in the Pac 10. When he first arrived at Stanford, the amount of resources provided the coaches seemed like an embarrassment of riches. Tinkle said he has experienced the same thing at Oregon State after spending his first eight seasons as a head coach in Missoula. “You give a guy a better fishing pole with a little better bait, you are probably going to pull in some big ones,” added Taylor, who helped Stanford to its first Pac 10 title in 38 years and coached the Cardinal in the Elite Eight in 2001. Utah sports information did not make Krystkowiak available for an interview for this story. Heathcote led the Grizzlies to the Sweet 16 of the NCAA Tournament in 1975 before coaching Magic Johnson and the Michigan State Spartans to the 1979 national championship. Jim Brandenburg, a Heathcote assistant, led Montana to a Big Sky title in 1978 before a successful tenure at Wyoming that included four NCAA Tournament wins. Montgomery took over for Brandenburg after serving on his staff both seasons. Monte went to the Big Sky title game on three separate occasions but a Big Sky title eluded him, something Tinkle grilled him for at a recent fundraiser roast in Missoula. But Montgomery might be the most successful in the Montana coaching family, with a Final Four (1998), four Pac 10 Coach of the Year awards, a Naismith National Coach of the Year and two seasons as a head coach in the NBA for the Golden State Warriors. Montgomery later returned to college and led Cal to five 20-win seasons and four NCAA Tournament bids in six seasons before retiring in 2014. When Montgomery left for Stanford in 1986, Morrill, his head assistant, took over. He won the Big Sky in 1991 before moving on to success at Colorado State and Utah State. In Logan, Utah, she helped the Aggies to eight NCAA Tournament bids and seven seasons of at least 25 wins. Taylor followed Morrill and gave way to Holst, the only coach from the coaching tree to be fired. Montana went outside the tree with Pat Kennedy, an unmitigated disaster that resulted in a 23-35 record in two seasons before resigning. In 2004, interim athletic director Marie Porter hired Krystkowiak, reigniting the Heathcote coaching tree and sparking Montana to five NCAA Tournament appearances and three Big Sky titles over the last 12 seasons. Tinkle and Krystkowiak are proving the hard work, toughness and Treasure State values instilled in them during their time at their alma mater is the secret ingredient for producing on college basketball’s biggest stage. They will get a chance to match Montgomery and Heathcote as former Montana coaches who advanced beyond the Sweet 16, the round Krystkowiak’s season ended in last March. 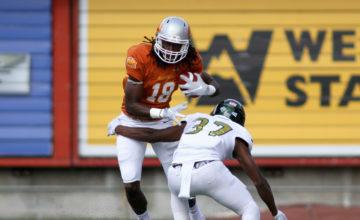 Photos courtesy of University of Montana Athletics. All Rights Reserved.